Get a teacher shirt that shows your secret multi-tasking ninja powers. 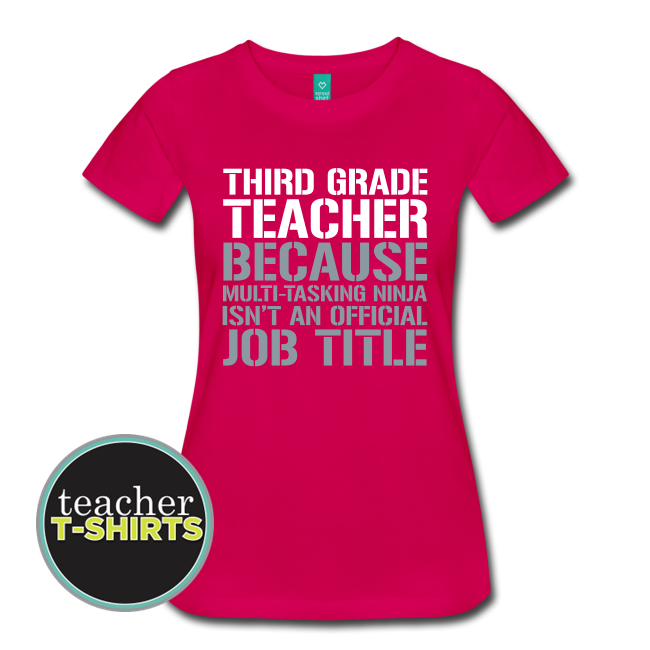 It’s a funny “isn’t an official job title” teacher shirt that really explains how you do it all to family, friends and co-workers. This is one of our newest items added and already it’s a hit! This flex print design says, “Third Grade Teacher Because Multi-Tasking Ninja Isn’t an Official Job Title.” It’s a bold design teacher shirt with white and metallic silver lettering!